[From October 1-6, 2018, Nina Glazunov-Neverov shared some stories and photos with the #AlpinistCommunityProject about the life of her husband Sergey Glazunov, who reached a historic highpoint with Alexander Gukov on the North Ridge of Latok I (7145m) in Pakistan. During their descent, on July 25, Sergey Glazunov fell to his death. He was only 26 years old. Gukov was subsequently stranded for a week at 6200 meters before he was rescued by a dramatic helicopter operation, flown by Pakistani pilots Major Qazi Muhammad Mazhar-ud-Din, Major Abid Rafique, Lieutenant Colonel Muhammad Anjum Rafique and Major Fakhar-e-Abbas. Sergey Glazunov had often climbed with his brother Evgeniy. Glazunov-Neverov said she may take some time before she pursues serious mountaineering again. "I want to continue Sergey's hobby but I need to think about this," she said. Meanwhile, she said that Evgeniy wants to keep supporting young mountaineers in memory of his brother. Sergey was a kind and sentimental man. He would make every attempt to help people in trouble, and at the same time he was strict and disciplined. Boxing, the passion of his youth, and later mountaineering instilled the foundation of his character. Mountaineering and photography were his way of life for the last years, while "ordinary life" with a daily routine was of minor importance for him. He was reaching for freedom, his mode of life was unsophisticated, and he was always looking for peace and harmony inside himself. Sergey was trying hard to develop his climbing skills as well as to advance his photography. He was also devoted to his family. He and his brother dreamed of making the world better, and they dreamed about a winter ascent of K2 (the only 8000-meter peak that has not yet been climbed in winter). His life was full of motion and drive. He used to say, "One should always contemplate and create!" He believed we have to live and make a difference. 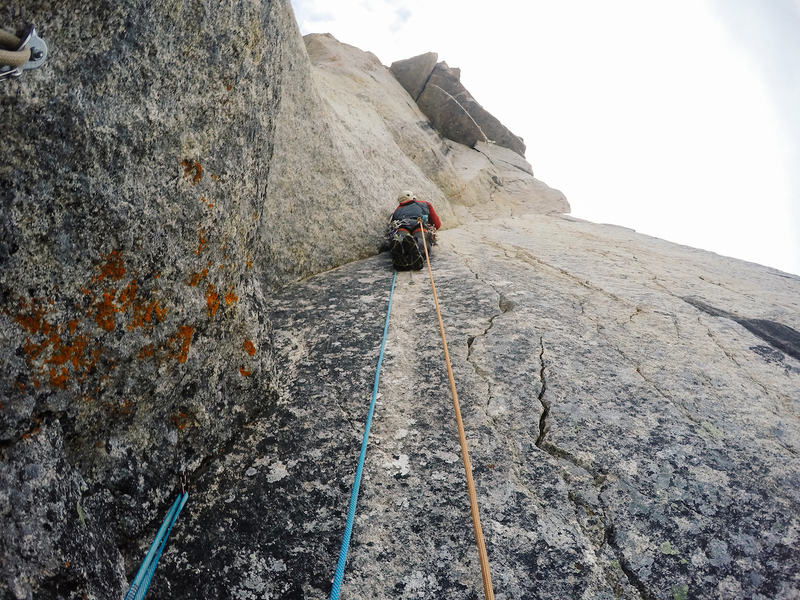 Sergey is pictured here on Klinok ("sword-blade"), Russian grade 6A, in the Sayan Range. It was the Sayan Mountains in Siberia, not far from marvelous Lake Baikal and his native town of Irkutsk, where Sergey made his first steps in mountaineering. Winters are very long there, and it helped Sergey get used to severe winter conditions in mountains. The Sayans are not very high, but there are many interesting routes of all categories of difficulty. Sergey first tried alpine climbing in 2012 under the supervision of his elder brother. He learned quickly, and soon they participated in different projects as ropemates. Since then, they had common dreams and plans. They started a mountaineering club in Irkutsk and organized trips in the Baikal Mountains several times a year to pass their knowledge to beginners and to exchange experiences with alpinists from different parts of Russia. Sergey was always glad to share his experience with others and to improve his own skills. Every time when he had a chance to go try an interesting route, he prepared for it with huge enthusiasm. Sergey dreamed of summiting Ak-Su (5355m) in Kyrgyztan. The mountain has a number of logical lines, but none of them is an easy one. 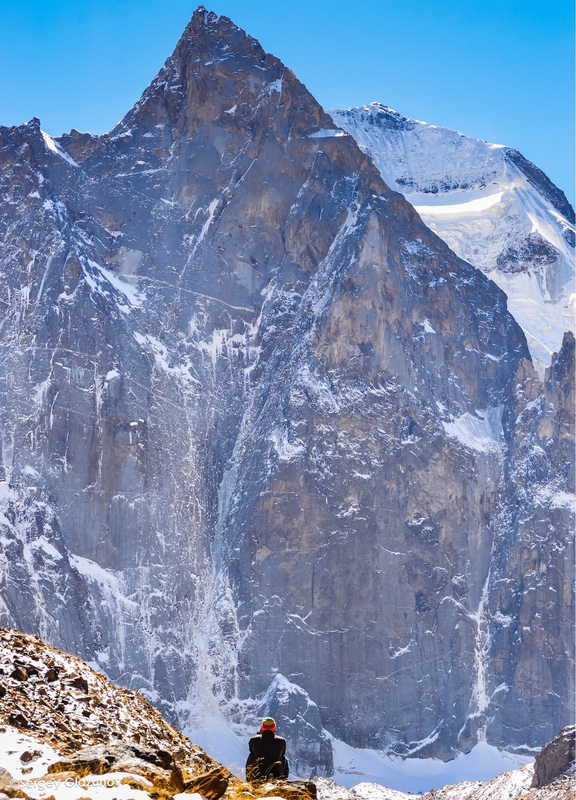 An ascent of Ak-Su is a landmark for every Russian alpinist. 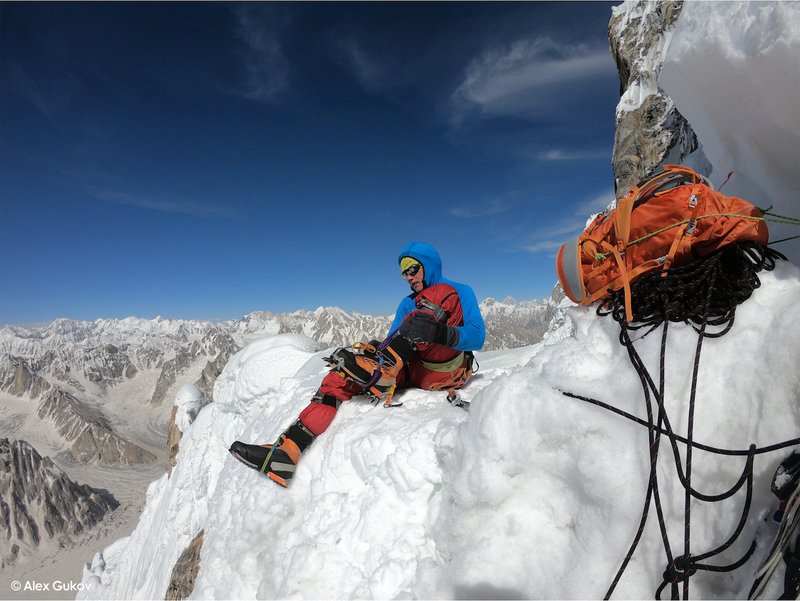 Sergey and his brother were at the peak in September 2015, but bad weather prevented them from even starting the climb. It was during that trip when Sergey first became interested in photography. I recently found a guidebook of Ak-Su among his possessions. He kept it waiting for the right time. 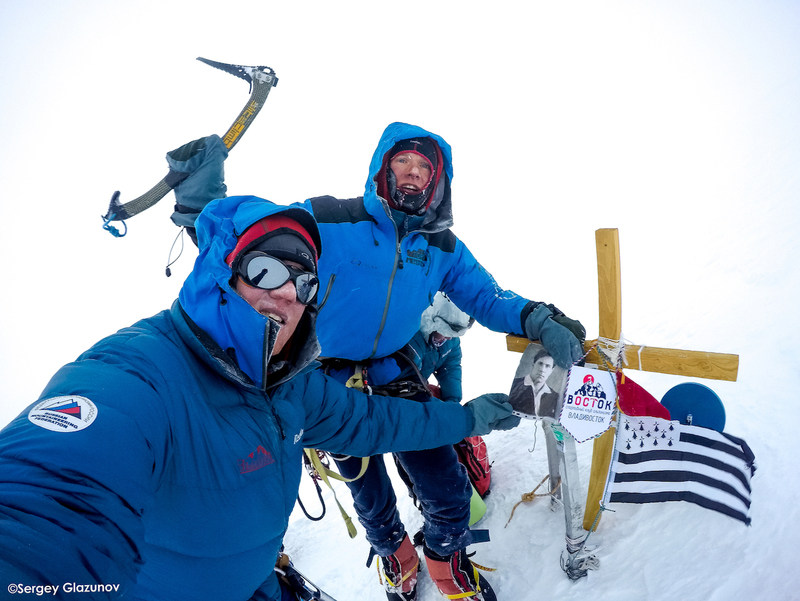 We also found a note in his mobile phone with his dreams and goals for the upcoming years, which included: "to learn how to make cool videos and photos"; "to make some interesting ascents in the Alps, in Nepal, South America, summit Ak-Su"; "to make my family happy." Chon-Tor (4180m), Kyrgyzstan: In winter 2016, the Glazunov brothers established a new route (TD+/ED: Russian 5B) to this summit. It was only the second confirmed ascent to the summit. It's not far from famous Ala-Archa Gorge. Almost every winter, the brothers went there to climb Free Korea Peak, Crown Peak and others. They joked, "we go to there to get warm because winters in Siberia are quite cold, and it is much warmer in the mountains of Kyrgyzstan." Sergey loved being in Ala-Archa, as each visit there was a chance to meet old friends and new fellows. That same winter of 2016 in Ala-Archa, the brothers won first place in the Russian Mountaineering Championship. Khan Tengri (6995m), Kyrgyztan: In the summer 2016 the Glazunov brothers completed an ascent of the Sviridenko Route (ED+: Russian 6B) to the summit of Khan Tengri. That summer they participated in a Russian mountaineering project "Vysota," aiming to summit the five highest mountains (over 7000m) within the territory of the former Soviet Union. 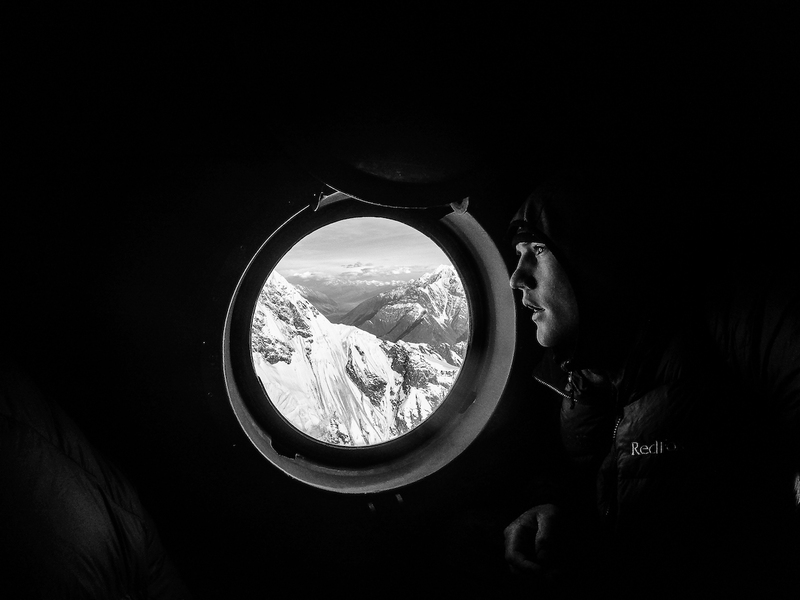 However, after summiting three of the five mountains by classic routes, the brothers decided that challenging technical routes were more interesting for them. 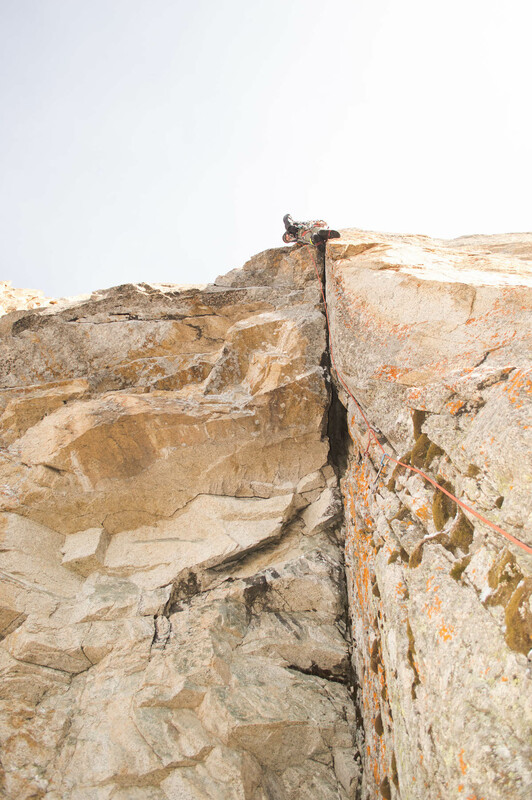 So they decided to climb Khan Tengri by one of the hardest routes. It took them five days. With this ascent Sergey fulfilled the requirements to earn the title of Russian Master in Sports.